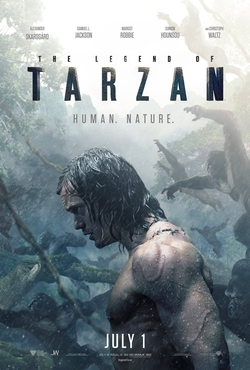 The Legend of Tarzan is action adventure Indian English film. It was released in 2016. Alexander Skarsgård, Margot Robbie played lead roles. Samuel L. Jackson, Djimon Hounsou, Christoph Waltz played supporting roles. It was directed by David Yates and produced by Jerry Weintraub, David Barron. Music composed by Hans Zimmer.